Hi everyone, welcome to this month’s news. September was a really busy month but great fun. I wonder how many of you heard me on Radio Scotland with Fiona Stalker the day before NEOS started? I got Fiona plaiting a Harvest Knot on the radio, trying to describe what we were doing was great fun! I had the busiest NEOS ever. 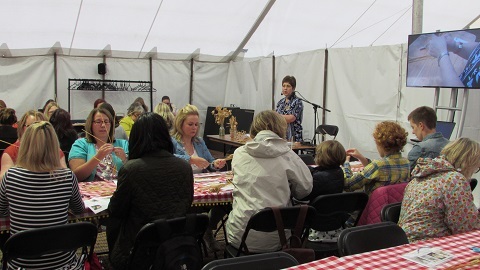 Lots of folk came to the visit the workshop, including Carole Baxter from The Beechgrove Garden, and quite a number had a go at plaiting. Thanks to everyone who came along and made the event such a success. 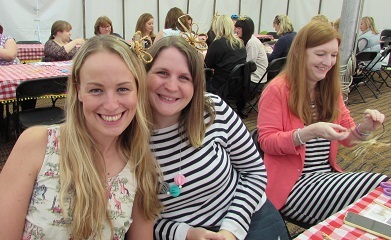 Another successful weekend was had down at Hampton Court and lots of ladies left wearing a straw flower fascinator! It was a long drive but certainly worth it. During September I was also finishing my next book which is at the printers as I type! I’m really excited to see it in print, fingers crossed it should come back this week. October has proved to be just as busy with some talks/demonstrations and classes. 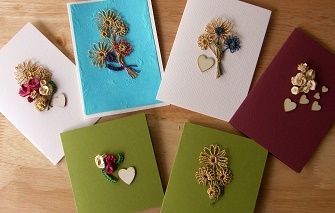 I’m now preparing to go to the SECC, Glasgow for Crafts for Christmas next week, hope to see some of you there. 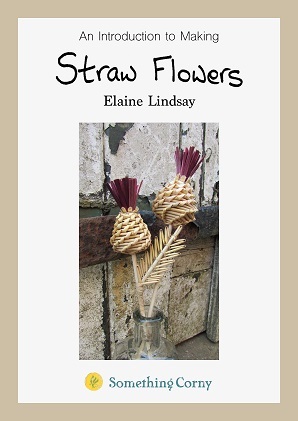 As mentioned in the introduction I have just finished writing my second book, An Introduction to making Straw Flowers. 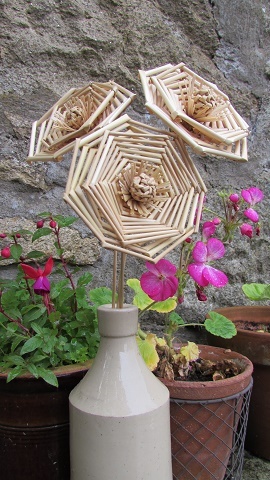 I really enjoy my garden and I love plaiting flowers with straw, so it just felt right that this should be the next book. 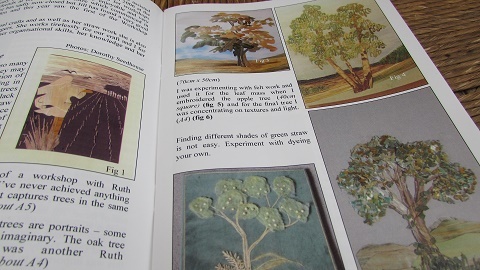 I know how popular my flower making classes have been so fingers crossed the book will be the same. This book is written using the same format as my Easy Straw Work for Christmas book with straightforward instructions and lots of colour photos. The book would not have been possible without James Lindsay who has worked hard designing it and putting it all together, he deserves a medal for putting up with his mum changing things all the time!! His patience with me is amazing! 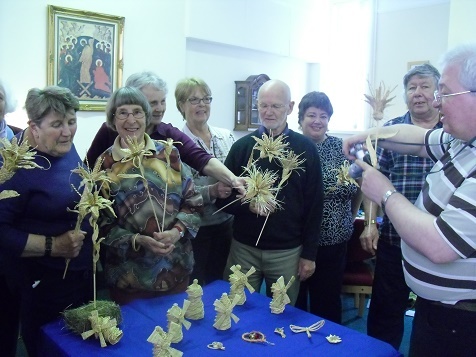 We have projects in the book suitable for beginners as well as more confident straw workers. The book will go onto the website as soon as I have it next week and it will cost £12 plus postage but if you want to get ahead of the game and order now then I have a special offer for you! If you would like to get a copy before it goes onto the website please e mail me and as soon as the book appears I will post it to you postage free! I can sign your copy too, please just ask. 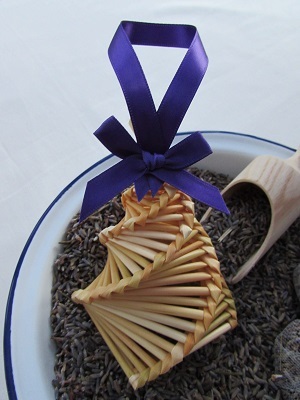 I have 2 new kits for sale, one is making lavender pomanders and the other is a kit to make simple Christmas decorations. I will be putting them up on the website in the next couple of days. The Snowflake kits are selling well at the moment too as is my first book, easy Straw work for Christmas. Lots of folk starting their preparations for the festive season. Here you will find the next few classes planned in the workshop at Inveramsay. If there is something you would specifically like to learn or if there are days, times, etc, that you would like to see classes take place then please e mail me and I’ll try my best to fit you in. The classes have been well supported recently and can fill up fairly quickly so if you see something you are interested in then get in touch for a booking form as soon as possible. 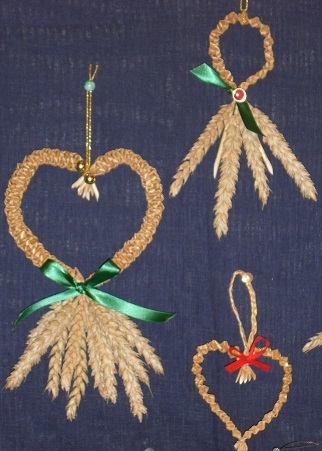 If you’ve always wanted to have a go at this lovely craft then these are the classes for you. They are small (4 or 5 people), and very friendly with beginners getting a lot of support. 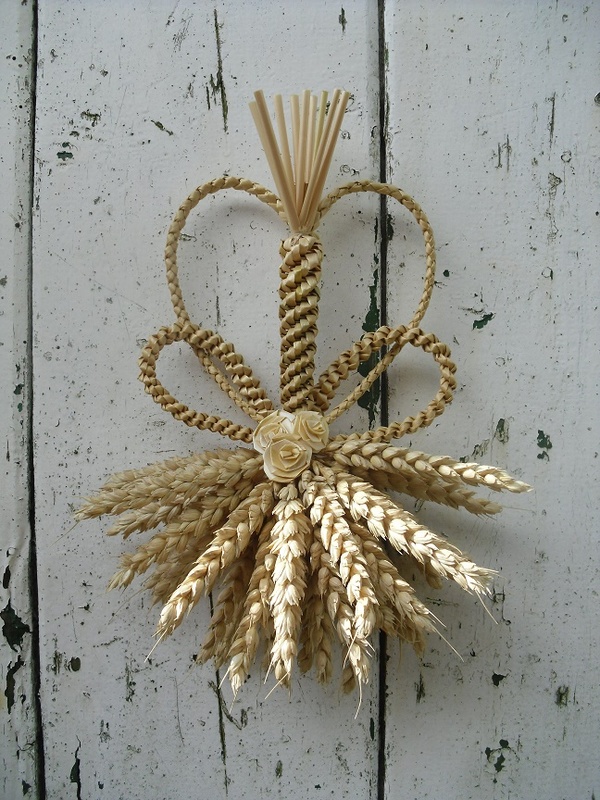 In this workshop we will be learning some new straw plaits and there will be a variety of projects to use these on. Suitable for someone new to the craft. Only one space left in this class. 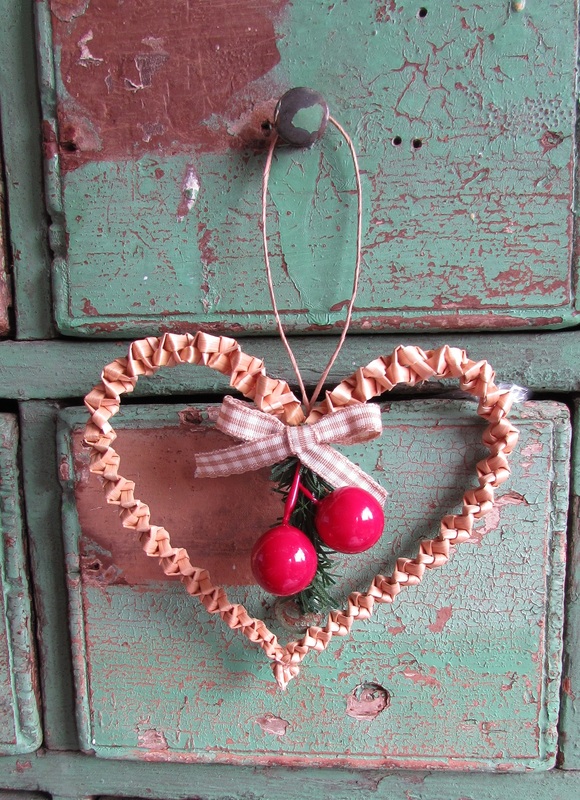 In case you couldn’t come to the workshops in October we will have a range of Christmas items for you to come and learn how to make. These make great gifts. A variety of flowers for you to choose from. Maybe a Christmas Rose or Poinsettia even, to carry on with the Christmas theme? Projects to suit all abilities.Only one space left for this class.Dates for classes at the start of the year so that you can pop them in your diary. If you are interested in attending any of our class please send me an e mail for a booking form. Classes must be paid for in advance to ensure a space is kept for you. We have gift vouchers for sale if you know of anyone who you think might enjoy a class with me or even purchase something from our shop! email me for more details. These make great Christmas gifts. Always a great weekend. Next year the dates for the weekend are 7th-9th April 2017. Write it in your diaries and come along and join us. It was great to have 3 attendees from Scotland this year, how many will go next year? The weekend is filled with classes and workshops for all abilities, they are very relaxed and are great fun. 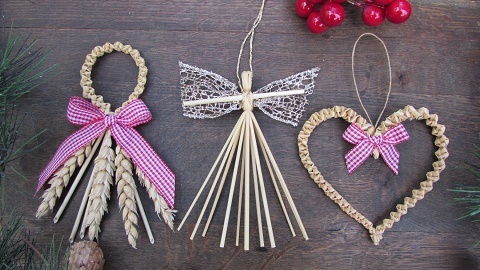 The one thing we all have in common is our love of straw!! If you would like more information contact Jill. Issue 74 is at the printers and it’s looking like a great issue, it’s going to be in full colour too! 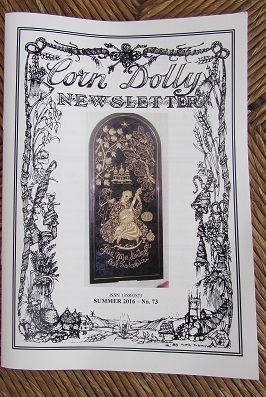 I have back issues of the Corn Dolly Newsletter here for sale. The cost is £1 per issues plus postage, what a very reasonable way to collect some new patterns at not much money! The back issues I have available right now are nos. 51, 52, 63, 64, 65, 66, 67, 68, 69, 70, 71, 72 and 73. They are £1 each plus postage. If you are interested in the these please send me an e mail. If you would like to take out a subscription in the UK it is £8 (this includes postage) for 2 issues, summer and winter (if you live abroad then please contact Elaine for more information). Wonder what to call it?? Rogues Gallery? Scottish Straw Workers?? No ideas so far as to a title for this piece so if you have any ideas let me know. I have been mentioning in previous Newsletters the many straw workers we have emerging in Scotland and how proud I am of them all. I wanted to introduce you to some of them and their work so I thought I would introduce you to some of them in the Newsletter each month. 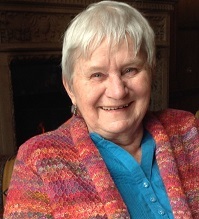 This month we feature Marga Schnell. This is her story. Growing up during the war and experience the turbulence afterwards, where there were no toys, which would entertain us, we had to create our own plays and our fantasy knew no boundaries. To go into the nearby woods and make little houses out of moss and sticks for our paper dolls,which we had cut out and brought a long, kept us happy, amused and forgetting the destructions around us. Throughout my childhood I was encouraged to make presents myself and use any art and craft available to me, as self-made items are much more precious then bought ones; my Mother always told me. No doubt, this experience coloured my interest of crafts throughout my life. Working mainly with Children with special needs, this trend was a welcoming tool. However, to find natural material became a task in its self. 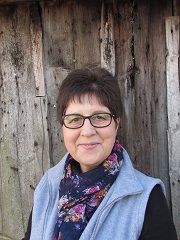 To meet Elaine in one of the courses at the Woodend Barn and experiencing the ultimate historic craft of straw plaiting was an unbelievable, heart-warming experience. 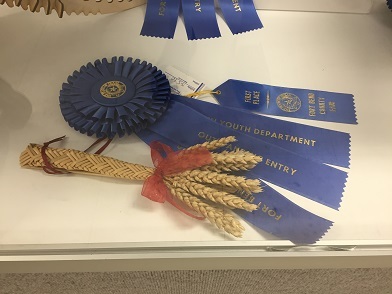 I am so glad, I can develop and nurture this wonderful craft and make use of this gift of straw, to make and create many different exciting items to please not only myself but also family and friends. Every time I go for yet another course, I come back with enthusiasm and keep on plaiting and enjoying using natural material. 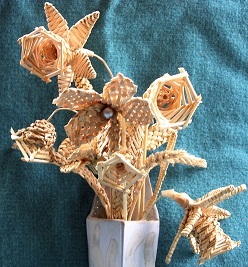 I think you will agree that Marga makes some wonderful pieces especially her straw thread work. 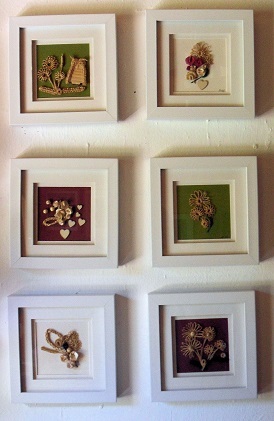 I have several shops and galleries stocking my work and I don’t always remember to mention them. Here’s another lovely shop to visit. They have a facebook page which is well worth a look. If you can help please e mail me. Thank you! I absolutely love seeing your photos and getting your news. I can’t always feature them here but I read them all and really appreciate you taking the time to get in touch with me. I was so chuffed to receive the e mails below. 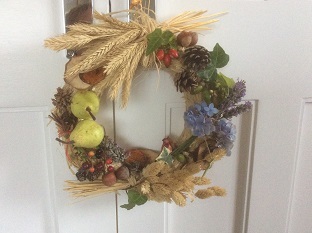 Wow, Philippe, that’s fantastic!Hi Elaine, here’s my harvest wreath creation using waste straw for wreath ring. 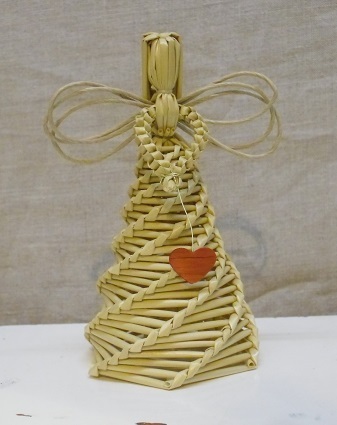 Isn’t this just stunning and is the perfect way to use up our waste straw. 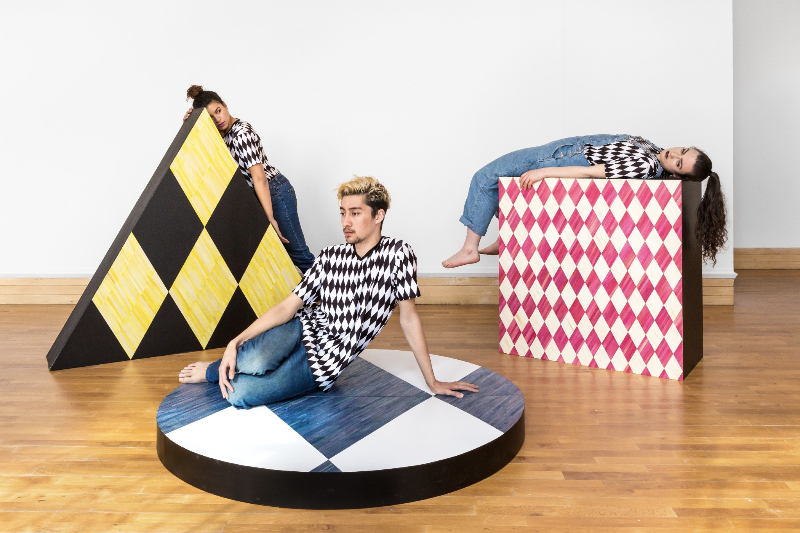 Thanks for reading our Something Corny News this month. Look forward to seeing some of you at the SECC in Glasgow either next week or in November. Keep up your straw work! 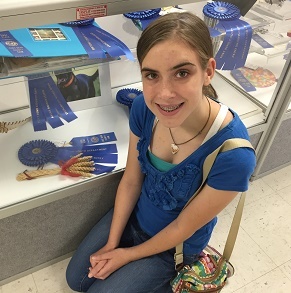 And keep sending me your pictures, I love seeing them. 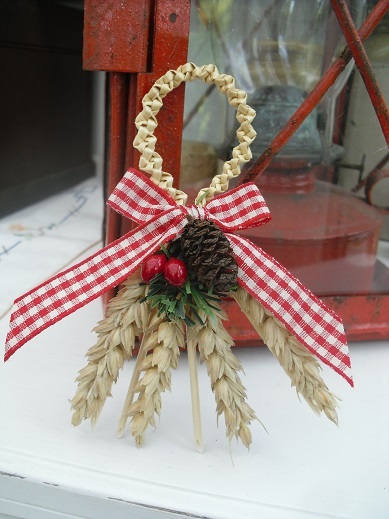 Saturday 4th February Straw Thread Work 10am-3pm £40Saturday 12th November Basic Plaiting with a Christmas Theme, Banff, Aberdeenshire 10 -3 £40Country Living Fair SECC in Glasgow. 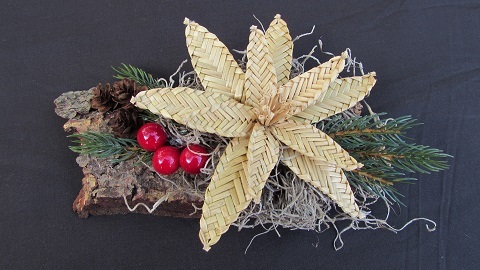 17th -20th November short classes during the day in the Craft & Create Workshop.